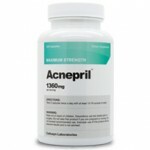 Mild and moderate acne can be controlled and prevented with over-the-counter acne treatments. 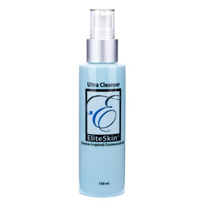 A cleanser that proposes to clear acne as well as restore healthier looking skin is Elite Ultra Cleanser. Will Elite Ultra Cleanser actually be effective? We need to look at the ingredients and consumer reviews before we can make that determination. Elite Ultra Cleanser is a daily cleanser designed to improve the condition of your skin. Elite Ultra Cleanser has a number of ways to benefit your skin. This cleanser should fight existing acne as well as reduce the appearance of age spots, fine lines, and wrinkles. The foaming power of the cleaner washes away pore clogging impurities including dirt and oil. The power behind Elite Ultra Cleanser is reliant on 10% glycolic acid. Glycolic acid is an alpha hydroxyl acid. 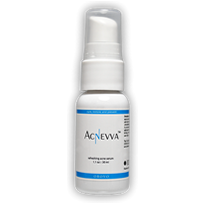 Glycolic acid addresses acne and other skin problems by having a mild peeling effect. Alpha hydroxyl acid loosens the skin and helps the skin shed in order to increase skin cell renewal so healthier looking skin can replace the damaged skin. This ingredient should improve skin texture and appearance.The Elite Ultra Cleanser formula also uses red and green seaweed extract. Although these additions have no direct correlation with treating acne, these extract can help moisturize the skin. 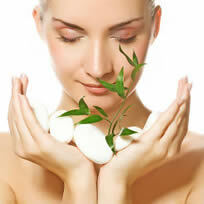 These extracts are mostly added to have anti-aging effects on the skin by promoting collagen production for firm skin. This cleanser also contains vitamins A and E for nutrients and antioxidants. Vitamin A specifically is vital for healthy skin.At the time of this review, there have been no reported side effects associated with Elite Ultra Cleanser. However, you should expect mild peeling or dryness due to the 10% glycolic acid. In order to really attack acne and help shield the skin from breakouts, you might be better offer with an alternative cleanser. Elite Ultra Cleanser cleanses the skin, but it doesn’t offer a lot of acne-fighting power. Elite Ultra Cleanser leans more towards being an anti-aging treatment than it does an acne remedy.